We love helping you save and now you can save while shopping! 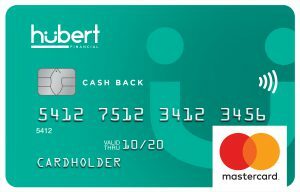 With our Hubert Cash Back Mastercard you’ll earn cash rewards on all your purchases. The best part is you get to decide what you do with them! See the list of all the current rewards here! We believe in offering the most secure banking experience and that doesn’t stop when it comes to our Mastercard. This baby is packed with security features to keep you, your money, and your purchases protected! 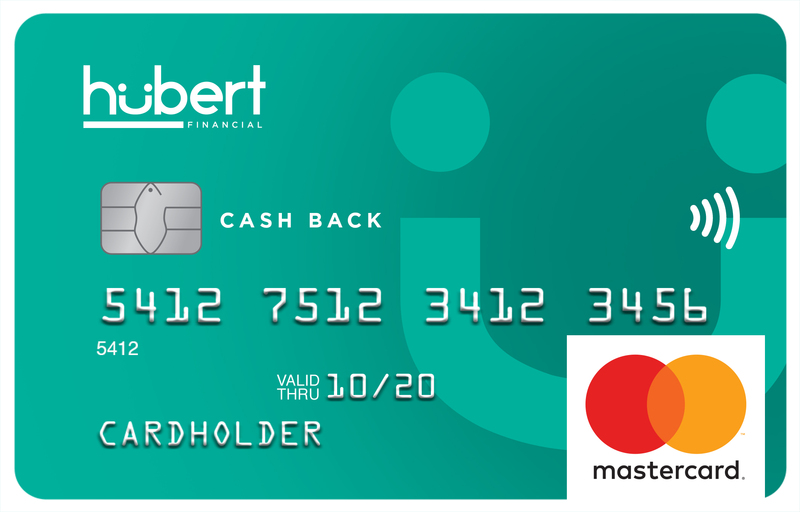 Your Hubert CashBack Mastercard also has super fancy contactless technology. This lets you pay with the wave of your hand (wizard style). You just wave your card in front of a secure card reader and you can be on your way. Plus, you can shop with confidence knowing our Zero Liability program protects you from unauthorized use of your card! 1See Rewards Terms & Conditions for complete details. 2See Insurance Certificate for complete details of coverage. Hubert Mastercard rates, fees, and terms and condidtions.